Are you trying to get your son or daughter into reading more history? Here Alex, a 10-year old boy living in Oxfordshire in the UK, shares some of his favourites. Alex is 10 years old and lives in Oxfordshire, UK. He likes football and history. Why do you like reading about history? I like reading about history because history is something you’ll never experience. So reading history is like experiencing another life. Also, history is funny, weird and usually gory. Usually I like the funny parts and the weird parts like people eating penguin soup to survive an Antarctic shipwreck. I like the gory bits like people getting thrown into caves full of venomous snakes and poisonous toads to see if the gods favoured them. Do we no longer do that kind of stuff today? We still do it today in some countries and people would eat penguin soup to survive. These days things like cannibalism are still being practised in wild parts of Papua New Guinea and in the Amazon they still make shrunken heads. 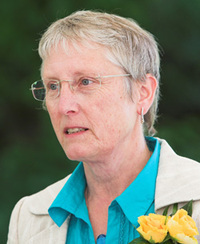 But now at least some people have stopped practising their gory ways. When did you first start reading history books? I started reading my first history books in Italy [when I was 8] and where in the house where we were living there were hardly any children’s books. Finally I found the Horrible Histories: Stormin’ Normans. I started reading it and really enjoyed it. 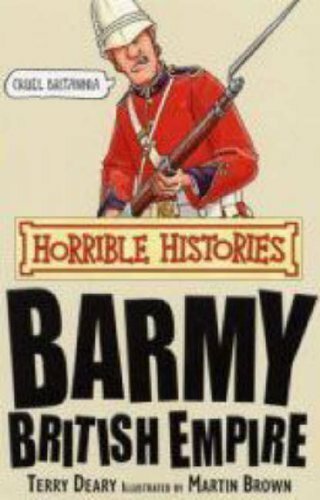 Then I read all the Horrible Histories. After that, I started reading a series called My Story. All the books from the My Story series are from a person’s perspective. I really liked that. So what kind of books have you chosen to recommend today? I have chosen five books. Two of them are Horrible Histories and the other three are My Story books. Also, all of them are about war. I like reading about war because of how people thought and felt when they fought in wars. 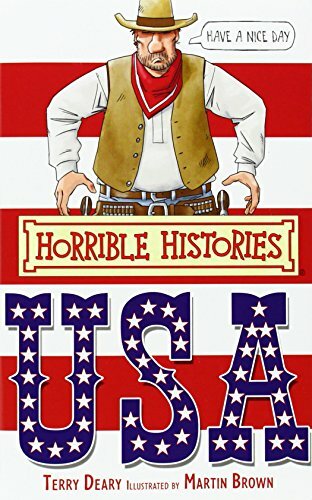 The first book on your list is Horrible Histories: USA. What do you like about it? The book is about the USA’s history from when it was first discovered by Christopher Columbus up to president Kennedy being shot in the head. I like reading about the USA because that is where I was born. Also, I like reading about countries with a lot of land and people because lots of things happen in a big country. There are lots of bad guys and good guys meaning there are wars, battles, killings and crises. Your next choice is also a Horrible History, this is Barmy British Empire. What was the British Empire and why do you like reading about it? The British Empire stretched from Canada to India taking up roughly a quarter of the world. The British Empire lasted 470 years from 1490 to 1960. This book is about the rise and fall of the British Empire. It talks about how the British got rich from the slave trade and how they built a huge navy. It’s also about the rebellions in India and how the British got crushed by boulders while invading Sri Lanka. Another bit is how people where massacred in Africa by Henry Stanley and had their ears hanged up. The thing about the British Empire is that it was so big so lots of things happened and boy did a lot of things happen. Your next three books are all My Story books. Tell me about Desert Danger first. Which war is this book about? 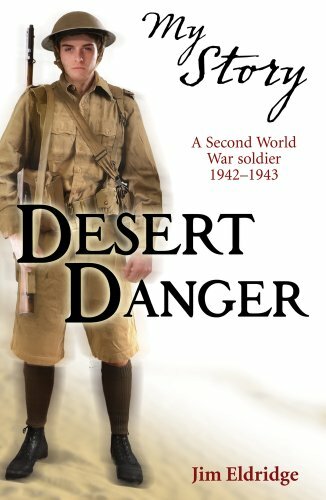 The book Desert Danger is about a royal engineer at the battle of El Alamein. His job is to defuse mines. The book talks about the different mines and how he helps make dummy armies. Also, it talks about night attacks and how the person loses his best friend to machine gun fire when defusing mines. So is it quite sad? Yes, it is quite sad because it’s about war and in war every single time people die. Sadly, you cannot have a war without bloodshed. So yes all the books I have chosen today are about war and are sad. 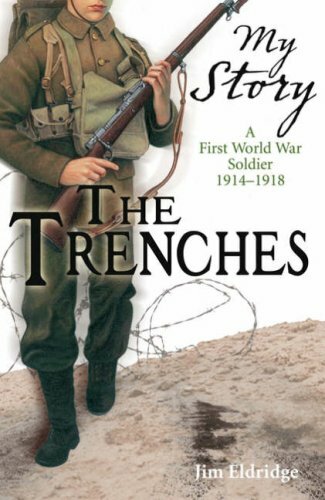 Next up is another My Story: the Trenches. Who is in the trenches and when? 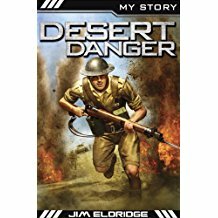 This book is about another royal engineer but his job is very different. In this story, the royal engineer is repairing cables and making radio stations to help communications between the British army. In the book it is around 1917, so near the end of the First World War, but still the royal engineer starts with twelve friends and at the end of the book he has one friend left. So the book showed me the brutality of war. Which countries was World War I between? The countries fighting in the First World War were split into two groups: The Triple Alliance made up of Germany, the Austro–Hungarian Empire and Italy and many smaller states. There was also the Triple Entente made up of Britain and her Empire, France, Russia and a lot later on the USA. 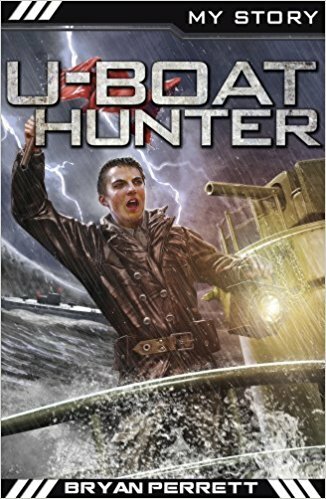 The final book you’ve chosen is U-Boat Hunter. That sounds a good one. What was a U-Boat? The U-boat was an armed submarine made by Germany that in the First World War sank a lot of ships. Even though at the start of the Second World War they sank a lot of ships, at the end the Allies had good enough technology to sink a lot of U-boats. The book is about a young adult. At the start of the war his father’s ship is sunk. The U-boat captain kills all the commanding officers in cold blood. The commanding officers were the young adult’s best friends, more like uncles to him then like friends. He promptly tries and joins the navy to find and sink the U-boat captain. He learns about life in the navy and sinks some U-boats then finally he sinks the U-boat captain and punches him in the nose. The U-boat captain gets hanged for murder. The book teaches you about all the ways of life on a navy ship and that’s why I really like it. As a series, do you prefer My Story or Horrible Histories? Editor’s note: Boxsets of both the Horrible Histories and the My Story series are pretty reasonably priced on Amazon at the moment. UK buyers click here and here. US buyers click here or here.